This week at the Bridge we moved into chapter two of my upcoming book, “Remain in Me”, where we looked at JOY, the first of five practices for your journey towards intimacy with God. There we saw that, rather than being a result of our circumstances, joy is an attitude of our hearts and a choice in how we perceive the world around us. Real joy comes through repentance. Not the “feeling bad about yourself” repentance, though feeling conviction is natural. Instead, true repentance means changing our minds, changing how we think to agree with God and how He thinks. This is what Paul is talking about when he says, “…be transformed by the renewing of our minds. Then you will be able to test and approve what God’s will is…” Romans 12:2. This is where real joy comes from. Let me know if this message is helpful for you. Easter 2018 – Why Look for Life Among the Dead? 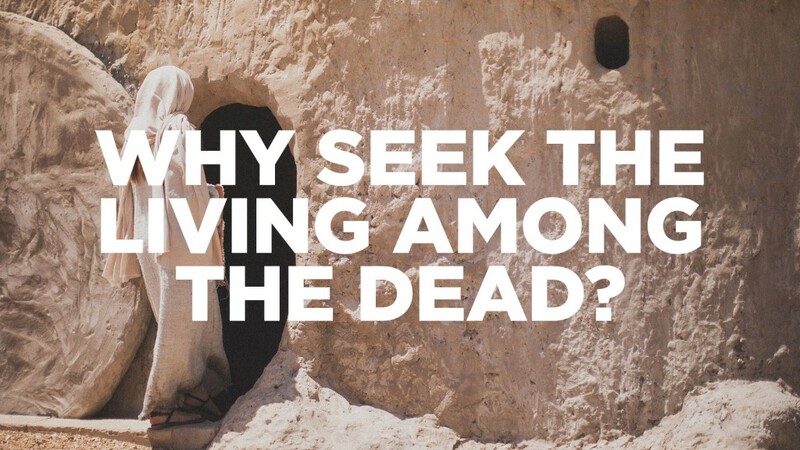 This week at the Bridge we pressed into the question that the angel at the tomb posed to the disciples, “Why are you looking for the Living One in a tomb?” and how that question has implications for us today as we so often find ourselves looking for Life in places filled with dead things. This past week at the Bridge we finished up the first chapter of “Remain in Me” with an overview of the Five Practices that I see David laying out for us in Psalm 63. We also took a look at the ideas of both doctrine and devotion, and how we need a good balance between the two in our lives if we want to develop a healthy, vibrant, intimate relationship with God. FYI – When I say, “One last thing” at the beginning of the recording, I am finishing up announcements, not the sermon. On March 11th, Elijah Bird and Micah Arce taught on Covenant and Kingdom, the two strands of DNA that run through every page of Scripture. Covenant is about Relationship, Kingdom is about Responsibility.